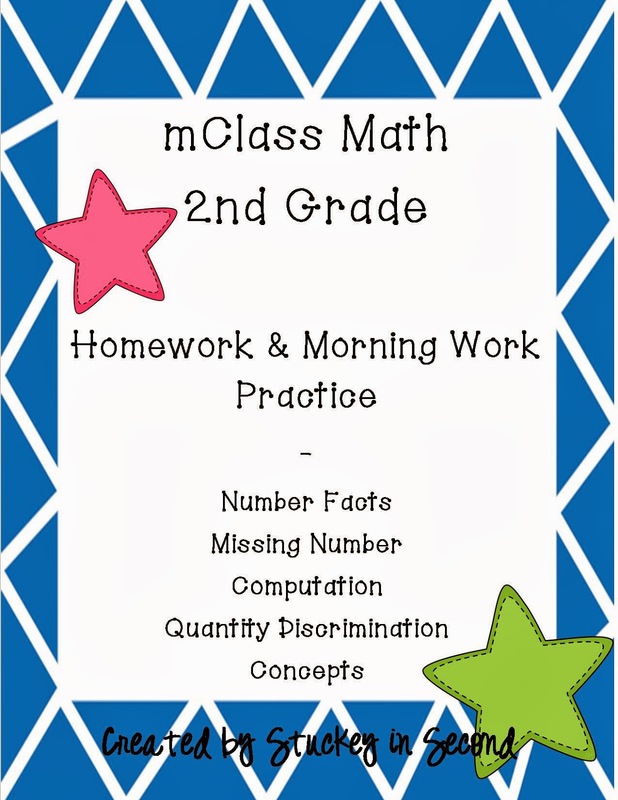 We use mClass math assessments in our district, much the same as we use DIBELS assessments for reading. We test at the beginning, middle, and end of the year. 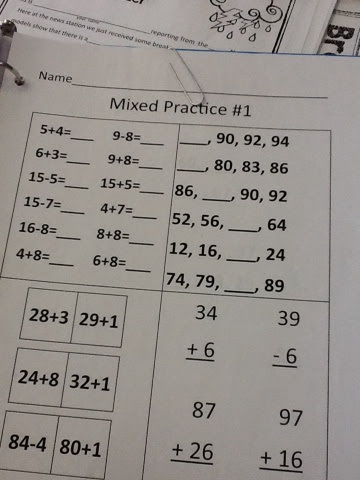 There are five assessments for 2nd grade: Number Facts, Missing Number, Computation, Concepts, and Quantity Discrimination. 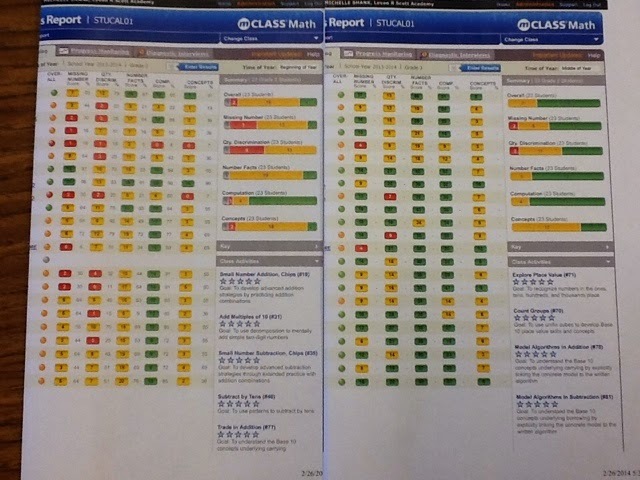 Although we have used these assessments for maybe 5 years or so, it really hit me last year that I needed to do something differently to raise these scores. I didn't think my scores were horrible, but I wanted them higher (of course!) I didn't feel like our math series that we have adopted and are required to use was quite cutting it for preparing students for these tests, so I decided I needed to take it upon myself to add something more. Not just extra flashcards practice here and there, but a real, consistent plan for this year. 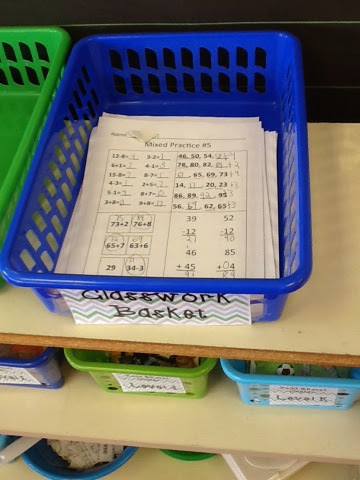 I created this resource for my classroom and for our whole second grade to use this year, as a sort of test to see if we could raise our scores. Good news, so far, we have!!! 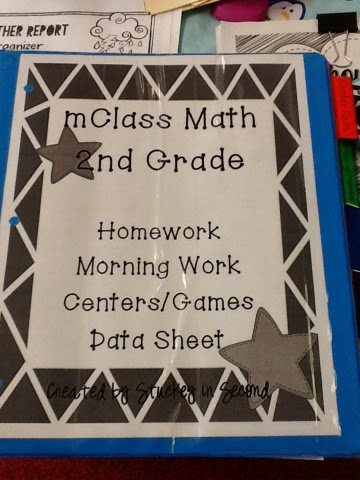 This is my beloved binder of mclass resources!!! The plan includes daily morning work practice and daily homework. These are the sheets we use for homework. I send home Number Facts on Monday night, Missing Number Tuesday night, Quantity Discrimination Wednesday night, Computation Thursday night, and Comcepts Friday night. There are 5 different versions of each, so after five weeks, they see the same ones over again, but guess what??? Nobody notices!!! Here are the morning work sheets that I use every morning. Students always have one waiting on their desk. It haves them daily practice of the skills, plus warms them up every morning. 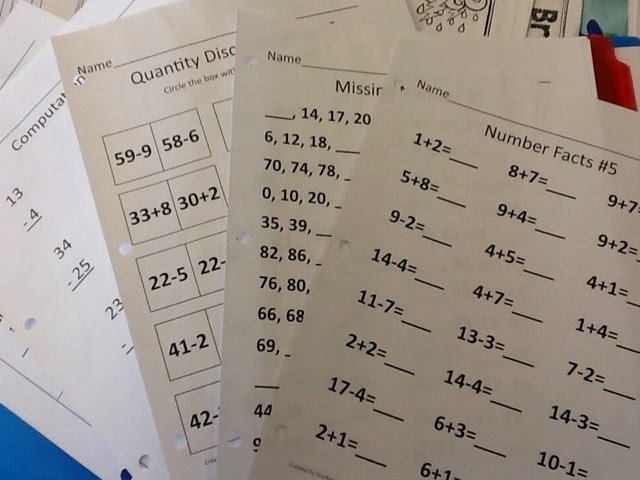 Now, you could choose to use these sheets in any way you choose, maybe you'd rather do the mixed practice for homework and the single skill sheets for morning work. I'm sharing how I've used it for the first half do the year, religiously, and now I'll share my results. The left hand data is the beginning of the year (before students used my practice packet), the right side is a picture of the middle of year data after the daily practice. I'm so proud of my kids, but I'm also proud of myself for staying consistent and keeping up with the daily practice. It has totally paid off!!!! If you are interested in my mega packet, which even includes some hands on centers to practice the skills, please visit my store and check it out!